Zach was 9 years old when I shot this photo of him posed behind his safety red `Baby Brick.' 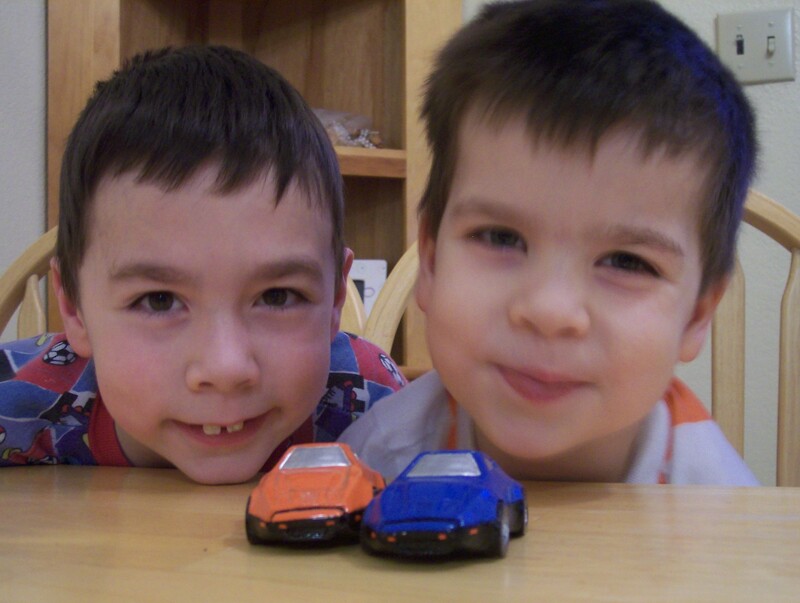 Noah is age 5 in this photo looking over his custom blue `Baby Brick.' Zach tends to keep his Baby Brick on his dresser on display. Noah likes to occasionally bring his Baby Brick down and play with it. Believe it or not, Baby Bricks are pretty durable and hold up to child's play well - there's just a few small chips in the blue paint on Noah's Baby Brick but they don't even show up in this photo. My son Zachary drew this picture at age seven - back in 2004. You can see his eye for detail... he even put a mark on the front fender where the `B' logo goes! 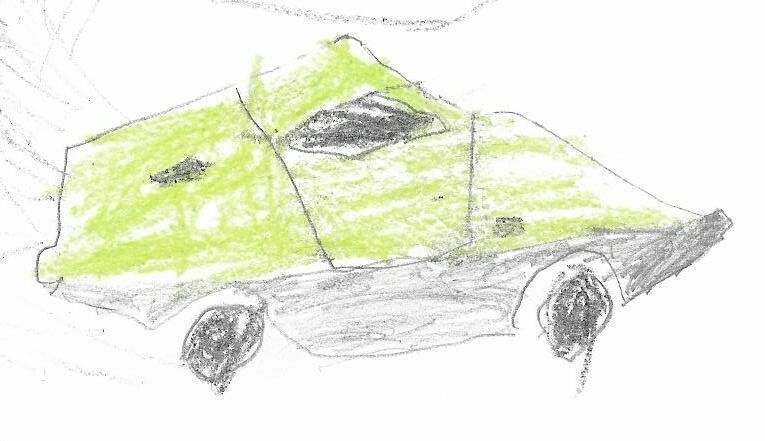 My son Noah has updated his drawing of my Bricklin. He's now 7 and drew this picture recently. He's an adrenaline freak! It would be Noah who would have fire coming out of the exhaust!